We observe the fifteenth anniversary of Donald G. Mathews's article in the Journal of Southern Religion by embarking on another first for the journal. Critical Conversations attempts to address contemporary issues through the lens of critical reflection. In this case, the fifteenth anniversary of Mathews's breakthrough article coincides with renewed conversations about how racism functions in the U.S. With an introduction to the four pieces that will appear in a series of roll outs, Ed Blum helps us understand the importance of the initial article both to its content and its format. We hope this conversation sparks renewed interest in the ways violence shapes religion in the American context, particulary in its southern form. 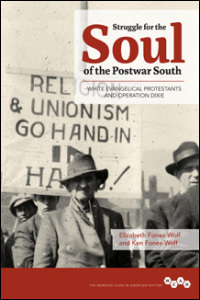 As a panel at the Southern Intellectual History Circle in February, four essays examined the usefulness of civil religion as a category of study for the Lost Cause and civil religion more broadly in the South. Charles Reagan Wilson responded to the essays.